Home / Posts tagged "asset portfolio management"
As a housing stock manager, you have energy targets to achieve for the housing stock you manage and you have to make retrofit decisions with a limited budget and timescale. Applied InfraRed Thermography (IRT) will help you take some of the stress out of this decision-making. 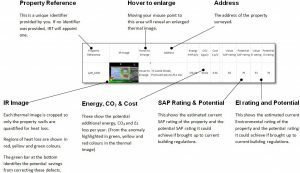 In a previous blog we explored how an IRT camera can see energy, but quantifying it for energy loss, that is the Holy Grail for thermographers and something that can be done. In fact IRT surveys received a patent for just that back in May 2013.
find out how an IRT Surveys stock survey can help below. Today’s Thermal cameras are digital and radiometric. That means every pixel records a value when you take an image. Every pixel is a temperature. A typical camera then has about 76,800 thermometers. Because everything is digital those temperatures are stored as metadata behind the visual bit of the image. So what? Well, this data can be accessed and interpreted. If you record how far away you were from the object you photographed then, with basic trigonometry, we can tell you the size of a pixel. Once you know the size, it’s easy to add them up and say 'You have 2.15 metres of red pixels on your wall'. That’s not quantified, I hear you scream. Hold ‘yer horses, I say. Step two involves capturing other data beyond the cameras abilities. What is the U-value of the wall supposed to be? How do you heat the property? How much does that heat cost? How efficient is the boiler? What’s the temperature inside and outside? Over the past 6 years we have developed our own elastic templates. Stretching or shrinking them to fit clients buildings. We need to augment known variables from energy software such as SBEM or SAP, into the algorithms to arrive at a meaningful quantification. Weather data from the last 25 years is built into the models. Boiler efficiency ratings from SEDBUK are added. Age and geographically relevant building regulations are taking into account. Eg. A home built in 1883 will most likely be solid, have high ceilings, large doors and a chimney. It’s likely more drafty than a more modern home. The tricky bit for us as software developers was creating dynamic software that meant we didn’t have to physically enter a home to ascertain the internal temperature. Our software re-calibrates itself to allow for differing internal temperatures constantly. When we survey 1000’s of homes we can’t ask all of them to be the same temperature inside, rather the software has the ability to moves its expectations. Missing insulation makes a difference of about 1-2 degrees to the surface of a wall. The difference between 18 and 19 is 1. The difference between 21 and 22 is also 1 – so we focus on the differential. Quantifying the number of pixels at a known size and known temperature becomes a lot more simple thereafter. Is it accurate? Yes. Is it perfect? No. Input the wrong heat source – say gas instead of electric - and the results are wild. Input the right data, and the results are quite startling. In a recent survey of 60,000 homes for 83 housing associations we were never more than 3 SAP points away from full on investigative results. In the vast majority of cases we were bang on. help you apply for funding and grants for your investments. Is housing stock energy management giving you headaches? Is your data ready to be fully exploited to ease your decision-making process? Please do contact us to discuss your energy management challenges by clicking on the button below. It seems that you can’t move these days without hearing about drones, apps and thermal imaging, but are they truly helpful or just gimmicks? We managed to get almost all the way to 2016 without them. Like every new industry that erupts from an emerging technology, there are people who take it seriously and do it professionally and those who charge in to make a quick buck. And like every other example in history, the cream rises to the top, the market consolidates and the cowboys are eventually driven out by the sheriff who is usually better known as legislation. Thermal imaging, or infrared thermography, has - and still is - going through this process. Companies like iRed, Thermascan, Ti and IRT surveys have been around now for more than a dozen years each. There is a healthy respect and competitive market out there. But there are a myriad of smaller companies buying low end equipment, not training themselves properly and going to market with nothing more than a nice looking website. This is why asking the right questions when making your research on infrared companies is important. The same can be said of the drone industry, only it’s 20 years behind the infrared world. It is experiencing a lot of negative press also with an emerging industry to shoot them out of the sky – yep – anti drone tech is also out there. It is a little known fact that over 80% of drone pilots don’t renew their license after year one. It either means the vast majority of the market are novices, or that the failure rate is enormous. 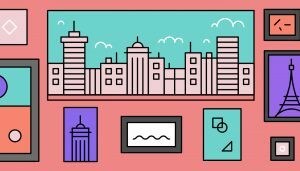 The IoT industry is the next big thing for the built environment for sure. If you haven’t come across the anachronism before, it stands for the Internet of Things. Everything from your toothbrush to your fridge will be connected to the net. Lightbulbs will tell you when they become inefficient. HVAC systems will call the engineer themselves and tell him what parts they need, before they brake. Fuses will alert the electrician, or some form of R2D2 unit to repair them before they blow. When the building itself senses that something isn’t quite right, drones will be deployed to survey a building at night, equipped with an infrared thermal imaging system. Smart meter and sensor technology is moving at an alarming pace. Or exciting pace depending upon your perspective. I love the idea that a sensor will send me a message with GPS co-ordinates to a defectuous building that we can survey and report on. Huge caution though. Just because things get all high tech and whizz bang, doesn’t make the operative an expert. Interpreting the cause for failure and understanding what the tech is telling you still requires a skilled person. No software will ever replace an experienced RICS qualified surveyor with 20 years under their belt. A sensor or thermal image may say your insulation is 20% saturated on your flat roof - a common defect – the image may point clearly to the origin of the leak but only a human can see that the roofer lapped the felt the wrong way, or didn’t seal the lap joints correctly. Technological innovation for surveying is unstoppable. The technology is coming, some of it is here already. It's unstoppable. Best embrace it, swimming upstream is exhausting. But fear not: the dystopian Star Trek world, where no-one has a job and everything is leisure time, is a long way off. De-skilling mundane tasks and de-bugging our built environment will free us up to focus on bigger challenges! Would you like to know more about how thermal imaging and drones can ease the management of your asset portfolio? Click on the button below to contact us to discuss your surveying requirements and for your free and no-obligation quote. 1.You don’t trust the data you have. In order to make good decisions you must be in possession of the facts. Don’t charge into battle until you are armed and you know exactly what you are up against. Too often businesses are almost forced, coerced or misled to carry out works that simply aren’t required by a corporate version of a dodgy tradesman sucking his teeth and saying 'x' when actually 'y' would be better and cheaper. If you are being asked to embark upon a major capital programme but aren’t given the resources and tools to deliver results without risk, think again. Abraham Lincoln once famously said, “Give me six hours to chop down a tree and I will spend the first four sharpening the axe”. Don’t rush headlong down a path without truly exploring the data and ensuring it is honest, trustworthy accurate and above all – impartial. In another word, plan well first with valuable data. 2.You have a merger looming. Merging portfolios, merging businesses: It is coming to you and you are about to inherit the motherload of problems. Is their data accurate? Is it better than yours? Will they use your lack of knowledge to beat your price down? Or exploit your lack of understanding of their data to drive their value up. Due diligence is a part of life. Do it better than the other party and you stand a good chance of leaving the room standing tall and confident in your decision. Who knows, you might dodge a bullet and walk away unscathed. Ask Royal Bank of Scotland about their due diligence process on the purchase of Dutch Bank. They did not have one and it almost bankrupt them. 3. Your client wishes to dispose of their assets. At some point your client will want to sell on a property or two, maybe even their whole portfolio. What do you advise them? Which ones do you sell? Nothing short of an in-depth understanding of every facet of that portfolio is good enough. Your client is paying for professional advice: you need to be confident that you know their portfolio inside out without any nasty surprises and that the information you have at your fingertips is up to the minute to provide accurate advice to the best of your knowledge. You must become an asset management Jedi with a crystal ball. 2016 has brought a fresh challenge for the property world. We have witnessed the Brexit vote result. Now there are talks of a possible Clexit, where Britain bows out of all the climate change targets. This will trigger yet more unwelcome uncertainty. We all saw the effect the Brexit vote had on share prices and the unprecedented action taken by the likes of Aberdeen Asset Management. Investors like bricks and mortar for the long term stable nature of something physical. Brexit and Clexit are speeding things up to say the least. The risks and their impact are very real. Of course the market will recover, but the long term effect of the likelihood of sudden and dramatic risk is toxic for us all. Yet here we are. The world is still turning and people still want to invest and make decent returns. Brexit didn’t bring about a revolution overnight. If you are currently trying to dispose of a portfolio, you may consider putting it on the back burner for a while and instead use the time to ensure your portfolio is the very best it can be and use technology to increase the assets value. 5. Legislation presents a risk. As mentioned above, legislation is so fluid at the moment it represents a credible risk to the market. Remember ESOS? Ever even heard of it? 12 months after Energy Saving Opportunity Surveys were introduced and implemented by the brave few, they were abandoned. What a waste of money for all parties. Will MEES / MEPS go the same way? (Minimum Energy Efficiency Standard and Minimum Energy Performance Standard) Same thing two different names. They are major pieces of legislation with Royal Assent that say you can’t sell rent or lease a building with an F or G rating. It is estimated that 31% of the built environment falls into that space. (Source WSP on Aberdeen Asset Management’s portfolio). One said: “we need to provide professional advice, this is of grave concern we must deliver rapid cost effective energy audits at scale to satisfy our client’s needs”. Another client said the exact opposite: “the legislation won’t come. If it does it will morph into something else, I am not advising my clients spend needlessly when I have no faith in the government following through”. A third client literally took me to a 30-storey building erected in the 1960s with uninsulated roof, concrete precast modular walls, single glazed, original heating system etc. He then proceeded to show me the £250 EPC certificate boasting about his C rating. Why invest millions when a £250 piece of paper will suffice? If you are seeing one or all of the above signs, help is at hand. Today, rapid portfolio evaluation and impartial, solution-independent advice is a phone call away. Technology has progressed to the point where infrared images can be quantified, data augmented and calculations carried out by sophisticated algorithms – all for much less than you might think. Drones and software advances have meant surveying is easier, reporting online and the deliverable all dynamic and interactive. Experts are being replaced by sliders and speedos on dashboards. Simulations that were once a black art practiced by experts only are now child's play. If you can catch a Pikachu you can conduct an energy audit on a portfolio. Are you seeing the signs? Then please do contact us to discuss your requirements by clicking on the button below. After careful consideration, you have decided to go ahead and commission an IRT survey. Now you are turning towards budgeting for it. Here we provide you with the information you need to unlock the finances and place your order. We have already discussed what is included in the price of an IRT survey. Let's look at it again and explain the value of the elements comprising IRT surveys services. Back in the 1980’s cameras were the preserve of universities. They cost close to £250,000 and you had to be kitted out with the car battery to power it, liquid nitrogen on your back to keep it cool, periscope to look through, VHS to record video footage and a hand held sensor. Fast forward to the millennium, cameras were £40K, hand held, digital, un-cooled and offered a truly portable solution. By 2010 the same camera technology was closer to £10K, more ergonomic, lighter, sleeker, had more features, in some cases higher resolution and were being integrated into the main stream. Today, the same camera is 50% less at around £5-6K – but a myriad of low end cameras have been introduced to the market place. You can spend less than £1,000 and get a piece of a high-performing equipment. But just because you can – should you? Owning a camera does not make you a photographer. In all likelihood you are reading this and have an impressive camera on your desk, would you therefore describe yourself as a photographer on your LinkedIN profile? The same can be said for low end IRT cameras. For the plumber and electricians out there having an IRT camera in the toolbox will be as everyday as their screwdriver and spanners, the tech will save them hours hunting for overheating cables and leaking pipework. There will always be a market for consultants with high end equipment, providing a service to building owners and occupiers who regularly need the service. Clients who need to rely upon the advice in a court of law or to arrive at a cost-effective refurbishment solution for their portfolio. Those surveys can’t be done by low end IRT cameras. More than that though, they can’t be done at all by unskilled labour. You need to understand the physics going on within a building if you are to successfully survey it using IRT techniques. You can buy a camera for less than a survey these days, but you need to carefully consider the hidden elements such as software, training, calibration, insurance and most importantly – liability. That’s without mentioning health and safety. As an asset manager, would you sleep at night if, using a £500 camera, you advise a client to rip off his roof and spend £500,000 to refit based on your advice? How much are IRT surveys services for an asset manager? At IRT surveys, thanks to the unique way we have grown across the country we are able to offer uniform pricing. From Inverness to Plymouth a survey costs the same. The service, speed and cameras are the same. The surveyors have undergone the same training regime. The cameras are FLIR and all are annually calibrated. Every office is insured to the same level. Most critically of all, the reports are written centrally by qualified analysts who do nothing other than analyse images. We charge our services at £1200 for surveying time on one site and £650 for office time. We don’t add anything to those prices. No mileage. No expenses. No hidden anything. This flat pricing structure means you can budget for the survey accordingly and build it into your bill of quantities at an early stage. Need to survey the roof of a building? One site and one office day. Simple. Want to add the walls whilst we are there? Thank you – it adds £650. You would like to quantify the images for energy loss? No problem – it adds… you guess it: £650. The pricing model also allows us an economy of scale if you wish to survey multiple buildings. The same rules apply. How much are IRT surveys services for a housing stock manager? The same level of expertise and diligence applies as for built asset surveying. Pricing for a housing stock is more complex as it depends on the size of a housing stock and the breadth of services required. However, for budgetary purposes for you as a housing stock manager in a local authority or housing association, prices start at £20 per house. Pricing are based on the volume of houses, the level of surveying and the data exploitation thereafter using our bespoke software. Should you want to discuss your IRT surveying requirements, please contact us by clicking on the button below. We live in a world obsessed with data and thanks to the internet, we can track, monitor and report on just about everything. 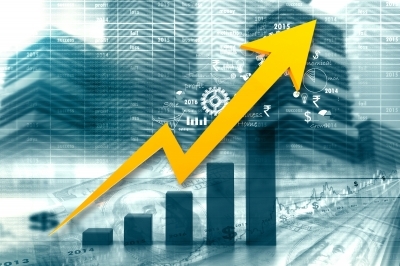 The more the data the better, and Big Data is now Big Business. The danger is that data gets misunderstood, becomes overwhelming then detrimental to your business. Information overload is very real and can have a paralysing effect. Faced with almost infinite data, the choices and decisions can become infinite themselves. Getting your hands on good quality data starts, funnily enough, at the beginning, but also at the end. Let’s assume you are a housing stock portfolio & asset manager. You have a task list as long as your arm, targets and KPIs to keep you focussed, a finite budget and still only 24 hours in a day. So, how will you hit those targets with the resources at your disposal? Data would be great, wouldn’t it? 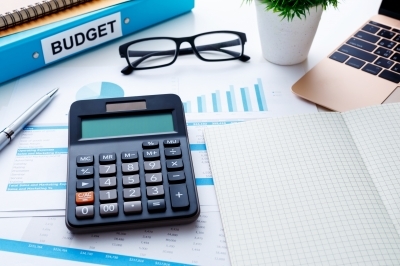 It could help you focus your efforts and optimise your budget. This is an excellent starting point – just understanding the need for accurate data itself means you are serious about the challenge. The next step is to decide upon what it is you want to measure. Now you have decided “wouldn’t it be great if …”, it’s important you review and agree “why”. Why gather all this data? To start a successful data management programme you sometimes have to start at the end: what is your overall objective? what do you want to achieve? Let’s continue the example of a housing stock portfolio manager. If you have a stock of 1,000 houses and 10% of them are not meeting the government’s energy standard, you will most likely want to identify those homes and tenants in most need of help and support. In parallel to that objective you will most likely want to know if there is a sub set of those homes with tenants in fuel poverty, which of that sub-set are eligible for grant funding, and for what? Walls? Roofs? Boilers? Loft insulation? Once you have that data, you might also want to cross reference those homes with your maintenance budget and see if the items you wish to implement tie in with any scheduled maintenance programmes that may exist, but be beyond your remit. The same applies for an asset and facilities management companies. Brexit and the fall of the pound sterling created opportunities for assets transactions. New owners, attracted by a lower price, will want to know how their new buildings are performing, how to decrease energy consumption, how to improve the fabric of the buildings to make get a decent ROI. Prospective owners may want to know how the buildings they are planning to buy are performing so as to drive the price down or to make sure they are getting a good deal. Today’s climate and variables at play in the energy sector mean understanding your data and optimising your budget are no longer luxuries – they are essential. The next thing is to decide what data you are going to collect, who will be collecting it, what you will do with it and how you will store and maintain it. It is all very good to collect all this data, but there are maintenance decisions attached to it. Do you know what you want to do with it once you have it? Have you agreed a format for keeping it up to date, for ensuring the accuracy of what you have? Let’s assume yes! Assumptions are dangerous, but let’s move our scenario along. How will you collate the data? Who do you trust do it? What’s the most economical way to get info on your 1,000 homes or the buildings you manage? Building surveying is one of the options. 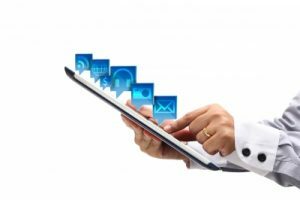 Do you currently employ an ICT manager who can help you integrate, cleanse and augment what you already hold? After all, you may already have most of what you need. Businesses grow organically or through merger and acquisition. Many great asset management companies and Housing Associations have grown this way. That can mean several things. On the positive side, with everybody on board, change may be embraced quickly and the best of both parties taken for the benefit of the newly formed organisation. On the negative side, organic growth can be slow and poor practices are likely to be ingrained culturally. Rapid, funded, growth can mean growth at all costs with poor systems and processes, leading to a mash-up of two or more systems vying for attention. This is in turn will create conflicts both in terms of the data itself and the team tasked with managing the stock. Exploiting and understanding your assets big data is imperative if you are to make good quality decisions on their future improvement. Set out what you need to know, what you would like to know and what you do actually know. Once you have established these points , it will make asset management easier. We are very fortunate in 2016 that software exists to help. Technology is evolving rapidly, both how it is designed and how we consume it. Still today, many RSLs, ALMOs, RLs, HAs and LAs are perfectly happy to manage their stock using Microsoft’s Excel via a series of linked – or not – spreadsheets. Often these are ill-suited to the task. Others have designed and implemented extremely expensive software solutions, bespoke to their needs. In life, there will always be extremes. Manage you stock for free on Excel or pay vast fees for a bespoke solution being a case in point. Extremes can be extremely cheap / expensive, extremely good / bad and the output can vary just as wildly. The same exists when it comes to data. Too much and you are paralysed into inaction. Not enough and you have no choice but not to act – how can you? You don’t know enough. Neither solution helps improve your assets, get people out of fuel poverty, save money or reduce the carbon footprint of your organisation or your clients’. There is however a middle ground, a solution which is right to exploit your data meaningfully. Our approach to data with our clients is much like starting a journey. We establish where you are today, where you want to go then use our software and algorithms to help you work out the shortest route to that destination – much like your sat nav. The process begins with understanding what records you currently hold on your portfolio. We take that data, knowing there will be blank fields – no-one has perfect data by the way, you are not alone! – augment it with rational, intelligent assumptions – essentially backfilling the holes – and run the new dataset against the latest iteration of SAP. The next bit is the most important. What do you do with the data? Can you interact with easily? Knowing you have a problem and being able to locate it, only the start of the solution. Much like an appointment with the doctor, they can only recommend you take the prescribed medicine, actually taking the next step is harder and invariably costs more. But go to your Board armed with accurate data, in an understandable format, able to demonstrate a robust, impartial decision making process, you will secure the funding and consent you need to make those improvements and meet those targets. In summary, data can be both good and bad, but one thing is for certain – bad data definitely leads to bad decisions. No data equals no decisions. Only good data can enable meaningful progress. Would you like to discuss your Assets Big Data challenges with us? We will give you impartial advice and help you hit your targets with your finite resources. Contact us today by clicking on the button below. Register today for our webinar The Future of Building Asset Management taking place on Friday 30 September 2016 at 1pm. Click on the button below for more details. 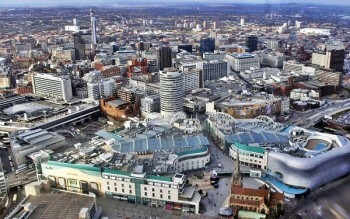 whilst ensuring that the buildings themselves are occupied and rent income is being paid on time. Enhancing the performance of the property portfolio you are managing is always your top priority so that you can prove to your clients that you are satisfying their objectives. In turn they keep you in business. Before you can enhance something though, you must have a clear picture of where you are starting from and what enhanced performance actually looks like. Think of the task as a journey. Here we give you 5 stages to enhancing property portfolio performance. What information do I currently have? Who collected it and how did they do this? Get a true picture of today before you try and describe tomorrow. You may be stuck at this early stage, with very little data at your finger tips, out-of-date data, or data coming from an unreliable or unknown source. If this is the case, you will have to stall your planned course of action on the buildings to fulfill that data collection stage. 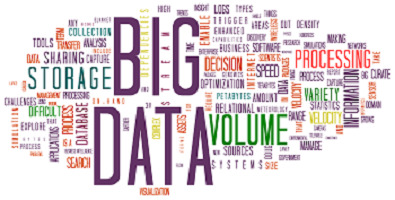 You may be interested to read our recent post about exploiting your assets big data. What is the fastest and most cost effective way to benchmark your commercial buildings? Traditional surveyors offer one solution, there is a supply chain out there pushing their own products and there are technological solutions offering everything from desktop reviews to in-depth reporting, simulation and analysis. Your choice will depend on your time available, your budget and your requirements. A word of warning which applies whatever you decide to do: Do not proceed to Stage 2 without completed this Stage 1. It does sound easy but impartial advice is difficult to come by and not all solutions will deliver upon their promises. Software can rank and rate savings and costs but none can get the tenants on board, keep building control happy and understand the nuances of each challenge you are aware of personally. It is best to take the output and augment it with your own knowledge of the buildings and strike a line through the ones you know just won’t get traction with your client or tenant. The next stage on your journey is to establish a costed refurbishment schedule with a known ROI. Show and discuss your plans to your client. Clients all want the same thing: a healthy portfolio, appreciating in value, filled with happy tenants who pay their rent on time. Anything else is an inconvenience, isn’t it? In our experience, clients also want something a little more: they want to know their money is being spent in the right direction, that we are helping them mitigate risk and optimise their budget. Of course they will be mightily impressed and may write a blank cheque to enable the solutions. This is more likely to happen when you provide them with clear and justified figures. Hence the importance of not missing steps 1 and 2. This stage implies you have agnostic advice to hand. Did you go to market to a flat roofing company for example, who recommended you replace your roofs? Or an HVAC company who recommended you replace 50% of the heating systems? Impartial advice is a critical step in this process. You will have to pay for it, but in the long run it pays for itself tenfold and allows you to proceed with confidence in the outcome. You may have your preferred suppliers either formally listed in your company’s purchase framework or whom you have used before and trust. Alternatively, you may also be looking for new suppliers who might have more fitting solutions or use newer technology. Make sure you get clear and detailed quotes, ask questions and do your research for due diligence. If you have followed steps 1 to 4, you should be relatively safe in the knowledge you are delivering best value to your client. It is of course easier said than done. You will need to regularly communicate and hold progress meetings with your appointed suppliers and keep them on their toes. Don’t accept in blind faith what they tell you. For good measure we will add a 6th stage to your journey: Audit your actions. You need to measure performance to ensure you have reached your destination. Are you ready to go on your property portfolio enhancement journey? Looking for impartial advice to increase the value of your buildings portfolio? Stuck at Stage 1 with little, unreliable or out-of-date data? If you answer YES to any or all of these questions, then please contact us today to discuss your project, by clicking on the button below. Buildings management or asset management is a multi faceted problem with many variables, many answers and many viewpoints. The very definition of the word ‘management’ raises questions. What do we mean by ‘management’, and more precisely ‘a managed building’? The word ‘quality’ by itself means ‘to a standard’. Add a qualifier and the meaning changes: High quality, Low quality etc. Much like ‘quality’, ‘managed’ means nothing without an adverb. Are your buildings ‘well managed’ or ‘just’ managed? What does that ‘well managed’ actually mean? On the one hand, it means bought and sold at a profit. On another, it means full of happy tenants who are up to date with their rent. It can also mean it has a well thought-through and beautifully executed maintenance plan. The truth is that a ‘well managed’ building means all of these things. Having a stunning building with no tenants is a badly managed building. A full building that is falling apart also leaves a lot to be desired. a ‘well managed’ building is about satisfying all of the criteria efficiently. Why it’s important ought to be obvious, but often clients don’t perceive the value and effort that go in to ensure that “managed” is appropriately qualified as “well managed”. First and foremost, buildings management is about maintaining the built environment for future generations to enjoy, to live-in and work-in. Next up, must be about deriving value and revenue from those assets for the current owner. Somewhere in-between is the how, why, when of the inevitable maintenance, refurbishment, change of use, mitigating risk and complying with legislation. With any building, whether it be a office block, shopping centre, airport, school, there are common issues that we can address when it comes to the building fabric itself. There are three elements that go wrong with buildings: product, design and workmanship. These are universal truths and apply to just about every aspect of a building, from roof to floor, wallpaper to lightbulb. New buildings are built with a shelf-life in mind. For some, it can be as short as 25 years. All that effort in the design, material selection and actual building activity, knowing it won’t last that long, deliberately is clearly a waste. However budgets have to be met, clients have finite resources at their disposal and if the building returns their investment within their desired timeline, so be it. Anything else is a bonus. This short-termism is detrimental to the health of our planet but it is reality. The good news is that more and more clients are looking for longevity and sustainability. Consequently, buildings that aren’t designed to last forever need TLC. Much of the built environment in the UK appeared in Victorian & Georgian times. Walk in any major city London, Manchester, Edinburgh, Glasgow for example, and take a moment to admire this stunning architecture around you. Turn a corner and you will see 60’s architecture next door to Shards, Gherkins and Walkie-Talkies, or OXO Cube and Armadillo if you are in Glasgow. Some built to last, others less so. The variety is amazing, complex and presents managers with a smorgasbord of problems and solutions. This is where the role of the building manager is vital. The manager has to take a Victorian building, built over 100 years ago as a bank, converted into a shop in the 60’s, then flats in the 80’s and now turn it into an open-plan coffee shop with mod cons. It is a difficult task. But it is one that starts with a decent survey of “as built”. The specification when the drawing leaves the architect’s virtual drawing board and hit the quantity surveyor’s desk and subsequently main contractor and sub-contractor changes at every stage to go from architectural vision to the ‘built on time and on budget’ reality. Taking as-drawn to mean as-built is a dangerous road for sure. The two concepts will never match exactly in almost every building in the country. The manager’s role then is to avoid assumptions, treat every building as blank canvas, start from scratch, gather data then align reality with aspiration. If you happen to be working for, or with, some of the professional companies like Gleeds, Knight Frank, WYG, Watts and CBRE then the task flows from one department to the next. One team values, buys and sells, another team survey and another does the Facilities Management side of things. Which sounds easy, but really isn’t that simple and specialist skill is under appreciated. Everyone in that chain cannot be an expert in every aspect of building fabric analysis for example. Each person has their own objective. This approach is mirrored throughout the construction industry. Finger pointing and blame pervade the sector. No information means no decisions. Indecision slows down the commercial side of life and therefore must be avoided where possible. The clean sheet approach may not be possible in every instance but sometimes the quality and quantity of data at your finger tips are so poor that you have no choice but to take that approach. A building manager / facility manager / asset manager must use their experience and the right tools to establish the condition of the building before their eyes. Specialist companies, like ourselves, who can survey a building from top to bottom and provide an accurate baseline of performance, track leaks, see delamination, wet insulation, voids, pipework, over heating distribution boards etc and help speed up the process whilst keeping the costs low. There is also an army of companies out there pushing their own products. Some good, others less so. Impartial advice ought to be in the forefront of every managers mind. Questions such as: Can I trust this advice? Does it conflict with my own thoughts? Why are they making this recommendation? Do they profit from their advice? A decent building manager ought to be cynical, diligent, knowledgeable and suspicious! In many ways they need to be Sherlock Holmes but have Bob The Builders “Can we fix it? Yes we can!” attitude. Do you manage old and/or new buildings? Do you want to manage them well and make data-driven decisions? Is this data currently missing from your portfolio? If your answer is ‘YES’ to these three questions, then please do contact us by clicking on the link below. Portfolio energy performance will soon be coming back in the news as 2018 heralds the dawn of a brave new Minimum Energy Performance Standard (MEPS). It effectively means 31% of the built environment becomes unlawful to buy, sell, rent of lease. That’s 1 in every 3 buildings. 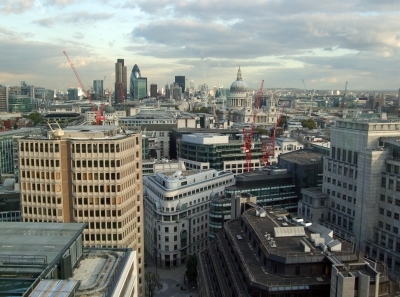 Imagine that for a moment: 85% of the office space in London is rented. That means tens of thousands of companies becoming homeless, were this legislation enforced in its current outline. Common sense says the legislation will be watered down, pushed back and diluted. This is inevitable as it is impossible to enforce and police. However, its objectives and ethos are solid and admirable, in principle. Improving buildings, making them more efficient means they become more desirable to rent and own. Desirability drives price and value up. When buildings cost less to operate, their Per sqM-rental incomes can be increased. The challenge for you as the portfolio owner or manager is one of optimising budget: Where do you start? Whom do you trust? Is there low hanging fruit or quick wins out there? What technology exists than can help? Another consideration is data. What do you really know about your buildings? Would you bet your mortgage that whatever you know is actually accurate? The stakes are high. Portfolio Energy Performance: Circumventing legislation? 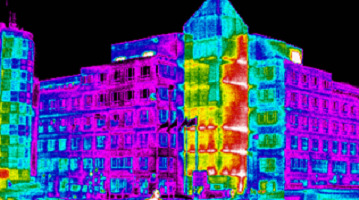 As a company, we have been surveying buildings for 15 years using infrared technology to detect defects and quantify energy loss and we have yet to find a building anywhere in the country that matches up to the drawings and specification intended at its birth. Change of usage, extensions, refurbishments, dilapidations, cowboy buildings, adhoc maintenance, all contribute to a portfolio dataset that is far from perfect. Add in trying to meet legislative compliance on a shoestring budget and the whole thing goes pear-shaped very quickly. Take for example EPC legislation, now almost 10 years old, meaning the early ones need re-doing next year, just like MEPS, its intention is solid and admirable. The implementation and adoption however has been less than perfect. A client once pointed out a multi-storey office block he owned: 1960’s construction, precast panels, single glazed aluminium windows, asphalt roof with no insulation and the original HVAC system from the late 60’s. Located in a city centre, it was fully occupied with tenants. £250 bought him an EPC that said the building was C-rated. The client asked me: “what would you do in my shoes? Tell every tenant to move out for a year whilst I get the roof, walls and windows and heating system upgraded, or turn a blind eye?”. I pass the building regularly and I can tell you a few years on since that conversation, the building looks exactly the same and it remains full of tenants. Under MEPS that bury-your-head-in-the-sand approach is dangerous. If there is finance in place to pay for the building – commercial mortgages for example – the bank reserves the right to review that mortgage every two years and are within their rights to withdraw any outstanding monies with just 7 days notice. It would be best then to mitigate that risk. Get your data licked into shape and see opportunities arise that may surprise you. Poor data means a poor understanding of the challenge ahead and leaves you exposed. It’s just too dangerous to contemplate. We have already written extensively on the subject of enhancing property portfolio starting with data collection. Fast forward to a future where your data is full and accurate. Now you can simulate savings, programme works, tender work packages, manage their implementation and see the savings from your efforts. Managing the retrofit of course means revenue for the managing agent or surveying practice, but the portfolio owner will love you for it. You are reducing risk, being professional and optimising his budget. Contractors will love you as you reduce their cost of sale and you tell them exactly what you want and need. That saving to them ought to be passed onto you. There is plenty of funding out there for retrofits. ESCO companies will 100% fund retrofits that deliver results at no CAPEX to you. Walls, windows, roofs, lighting, draft proofing, insulation – you name it, funding is easily secured if the business case stacks up. Organisations like the Carbon Trust and Energy Saving Trust have interest free money available to fund measures – you simply need to ask. This sounds rather obvious, but building fabric degrades. Refurbishments have been an integral part of portfolio management since buildings have been erected. Roofs are notoriously defectuous and won’t last for ever. You need to set aside money to patch and repair when the roof reaches the end of its life expectancy and budget for a total replacement. Ignore this reality and you will be faced with years of leaks, inefficiency, tenant complaints and stained ceiling tiles. Maybe tomorrows’ building will be owed by the manufacturers who will simply lease the fabric, replacing these buildings every 25 years and bearing the maintenance costs along the way. Until that day, it’s important to understand the value of a solid maintenance schedule and refurbishment programme. Silicone seals around windows only last about 10 years, ignore this fact and water will find its way through and into the fabric, perhaps invisibly for years. Sooner or later someone will spot a damp patch somewhere and you will end up chasing it for years before rectifying the cause. Several thousands of pounds spent where only a fraction could have been spent as a preventative measure. Invest today to save tomorrow. Happy building = happy tenants = happy owner= happy cash flow for all. What is best practice then in this cash-strapped, modern, post credit-crunch, Brexit’d devolved country of ours? Traditional surveying techniques may help and a fast emerging technology such as infrared or IRT, will definitely see problems the naked eye can’t. Huge portfolios can be assessed very cost effectively these days. Once data is captured, cloud based software can crunch the numbers, backfill the blanks in the assumptions, validate the data and enable rapid low cost simulations. The internet of things will only improve this industry. Buildings will contact you and ask for help themselves. This already happens in aviation today. RollsRoyce engines talk to a central database and report health issues to an unmanned database. The software arranges an engineer, co-ordinates with a warehouse and ensure the right part is at the right airport on time to service that engine efficiently. Buildings will go the same way. It’s as inevitable as it is exciting. Are you managing buildings, as a portfolio or facilities or estates manager? Are you concerned by the forthcoming MEPS and need to take action? Contact us today to discuss your challenges and hear how we can help you. 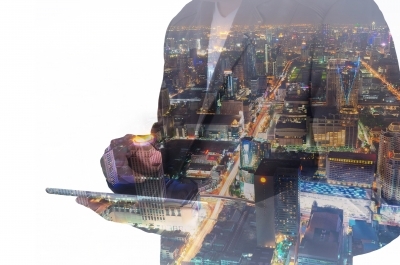 What are the challenges in the Real Estate Management profession? Real Estate Management profession covers a wide range of roles in many different sizes of organisations, in the public, private and voluntary sectors. Like any other profession, it faces many challenges. We held a very successful webinar at the end of September on The Future of Building Asset Management which gathered speakers from RICS, BBA, OVO Energy and South Yorkshire Housing Association. More than 100 people registered for the event, coming mainly from the building surveying sector, local authorities and housing associations. Luckily the webinar participants agreed to answer. Knowing that their answers would remain anonymous, they provided candid and honest comments. These were collated, de-duplicated, and classified in themes. Challenges clearly lie around data, internal and external relationships with interested parties, time management, understanding and meeting clients’ requirements, compliance in an evolving legislative and technological environment, costs and finances. Interestingly the practical elements of managing buildings and their fabric was the least mentioned. Collecting robust and consistent data. Access to good building information. Managing lifecycle works against hard facilities management services. Managing a portfolio that is administered by all sorts of departments under one roof. Making decisions affecting the course of project it would take. Knowing what the client’s risks are. To offer clients value for money in the changing economic environment. Need to understand latest technology for asset management. Converting theory into something tangible. Improve my general knowledge in the building survey industry. Delivering sustainable and manageable income stream for surveying team. Market failure in terms of price signals to attributing value to sustainable property assets. It is not our intention to provide an answer to all these challenges, as some of them are outside our control. Our technology, teamed with intuitive bespoke software however may be able to alleviate the severity of these challenges so that you work in a much less stressful condition. Do you face similar challenges? Or do you experience others that are not listed above? We are keen to know. Register for our next webinar on Tuesday 29 November at 1 pm: Miranda Plowden, South Yorkshire Housing Association Business Development Director, shares her views and experience of managing building assets. For full details and to register, click on the button below. We have written at length as to why, as a housing portfolio manager or energy manager for a social or affordable housing provider, you should consider commissioning a housing stock condition survey and how to do it. Still, you may have doubts about the value of such surveying and wonder whether you should be even interested. Here we give you 5 good reasons why you should NOT bother with a condition survey of your housing stock. 1. You are confident your current dataset is accurate. You have taken the time to get your house in order – so to speak. The houses you manage were built recently and came to you data-rich. Maybe you have already commissioned a housing stock condition survey in recent months and have all the data you need. You have inherited a good quality dataset of the houses that are now under your responsibility after a recent merger, asset purchase or transfer. You operate a tight ship whereby you understand the value of an accurate data to support investment-grade decisions, and therefore insist on the right data being collected, collated and analysed before making the investment. This access to accurate data and control of your assets allows you to be confident in your spending for a good return on investment. You implicitly trust this information and have it at your fingertips. Say NO to a housing stock condition survey as your excellent data set speaks for itself and tell you what you need to do to fulfil your energy efficiency agenda. 2. Your budget is generous enough that you can afford to spend. You are in an envious position to have a healthy budget for retrofit and refurbishment. As long as this budget is spent by the end of the financial year, then return on investment isn’t a concern for you. Say NO to a housing stock condition survey as justifying the expenditure on a specific retrofit is not a priority. 3. You don’t have time to obtain funding from a utility company. Utility companies may be able to help you with funding whole or part of your next refurbishment. In order to consider your request, they need to know some key information about your housing portfolio, information that you don’t have and are not likely to have in the near future. It is better to miss out on some funding rather than taking the time to understand what your stock needs. Time is always of the essence. You want to get on with the job, and approaching utility companies for funding will be a delay in the proceedings. Or it could be that, to come back to Reason 2 above, as your budget is generous, then you don’t approach these companies because you have money to spend. Say NO to a housing stock condition survey as time is already in short supply. Commissioning a survey and negotiating funding will only delay your refurbishment project. 4. You trust your current supply chain. You have selected your current supply chain (consultants, software, contractors, materials etc) by conducting a thorough procurement process which absorbed all your energy and time for a while, and you are confident you have the suppliers who best fit your requirements for the time being. Or you simply have built a great network of supply companies who you inherently trust and you hope they will be there for a while longer. You sleep at night knowing that your supply chain is working for the benefit of your portfolio and tenants. You don’t see the need to change your suppliers or investigate what else is available on the market that you may be missing on. Say NO to a housing stock condition survey because your current suppliers know what your future needs are and will keep you informed of the latest innovation on the market. 5. Your tenants are happy, they never complain. You know you are looking after your tenants and their rented property well because they haven’t reported any issues with damp, mould growth, condensation etc. Your ‘Complaints Inbox’ is empty for problems related to the fabric of the houses. This is probably because your maintenance schedule was well thought-out and resourced and is on target, even nearing completion. Or your housing stock is of outstanding quality, relatively new and repairs are not (yet) needed. Say NO to a housing stock conditionsurvey because your repair and maintenance programme is fulfilling its objectives and you are already thinking of the next tranche of improvements. If all the above 5 reasons are true for you, indeed you are a very astute portfolio manager and most would envy your position. Indeed, you don’t need a housing stock condition survey, you are in control of the situation, you have access to good quality data allowing you to make the right decisions and get things done. We live however in an ever changing landscape of legislation, energy pricing and increasing uncertainty. Feed in tariff, Green Deal, CERT, CESP, EU, all this has changed and continues to evolve. Best practice would suggest the only way forward is to keep you data as accurate as you can, keep learning about what technology is coming along that can help you, keep talking to your peers and assume that everything you know will change tomorrow. Are you in this fortunate position? If so, we would love to hear how you got there. Do contact us to tell us how you achieved this so that we can share with our clients. If not, you do need a housing stock condition survey. It will help you achieve your energy efficiency agenda, whilst make sure you are spending wisely the budget you have, even increase the funds available and have your tenants contacting you only to thank you.